1. How will you fund your expansion? The first step in any expansion is to figure out how you’re going to fund it. To do this, you must make a list of expenses that you’ll incur when setting up your new location. You need to consider things such as rent, manpower, utilities, taxes and fees, and more. The good news is, you’ve already been through all this when you started your first location, so creating a list of expenses for your new branch should be relatively easy. If you’re cash flow positive and turning a nice profit, consider re-investing those funds back into the business in the form of a new location. This move could prevent you from having to take out a loan or giving away additional company equity. Another way to avoid turning to external fund sources is to use any personal savings and assets. If you have any money stashed in your savings or personal investment accounts, see if you can funnel some of those funds into your venture. If the above-mentioned options aren’t feasible (or enough) for your expansion, you could consider taking out a loan. Depending on how much you need, you can obtain funds from your family and friends, from government programs or from banks. If you’re willing to give up a bit of equity for capital, consider taking on investors in your business. 2. Can your existing store(s) run smoothly without you? 3. Do you have the right tools to manage inventory, staffing, and reports across all your locations? As Chelsea said, letting different store locations do things differently will make them impossible to manage. That’s why you need to ensure that in addition to having just one set of procedures and policies, you’re also using the same tools across all your locations. 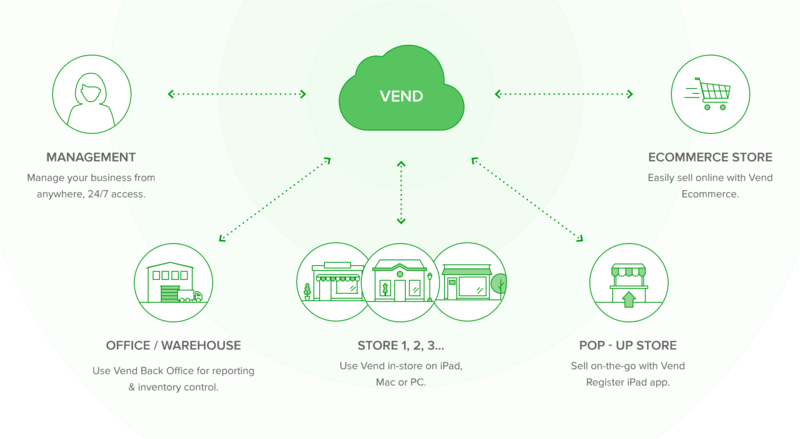 This is one of the reasons cloud-based software is so attractive for multi-store retailers. Cloud solutions enable you to carry out tasks like product ordering, customer management, and accounting no matter where you are. You can, for example, order products for store #2 even when you’re manning store #1. Cloud-based programs also allow you to access data for multiple stores using one system, enabling you to easily get the information and insights you need. So whether you want to view the performance of your entire operation as a whole, or would like to zero in on a specific location, you can easily do so… if you have the right tools. 4. How will you maintain brand consistency while localizing each store at the same time? Running multiple stores requires balance: On one hand, you’ll need to maintain brand consistency across all your stores, and that people get the same feelings and perceptions no matter what branch they’re in. But at the same time, you also want each branch to incorporate some local elements. Consistency and brand recognition are good, but you’ll connect better with specific markets if you tailor each store to their needs. Let’s start with brand consistency. To do this, you first have to ensure that everyone in your team has a deep understanding of what your company stands for. What are your core values? What’s your purpose? Who do you serve? See to it that you and your staff can not only answer these questions, but can also communicate and embody them when interacting with customers. Brand guidelines or corporate identity document – This should talk about the look and feel of your brand, and detail the colors and typography to be used in your collateral as well as the correct and incorrect usage your logo and other brand assets. Employee handbook – In addition to discussing your company’s HR policies, your employee handbook should also cover how employees should behave and how to interact with customers. Store policies / standard operating procedures – Put all your store rules and procedures in writing. Some of the issues that this document should cover include your policies on returns, payments, operating hours, and more. Once you have your brand guidelines and policies in place, you’ll need to think about how you can tweak each store and inject some local flavor into it. One way to do this is by localizing your store assortments. Do some research and gather data into the needs and preferences of the local market, then stock up on the necessary merchandise. This strategy not only allows O’Reilly to serve the locals better, it also helps them keep each store’s inventory lean and relevant. Tailoring your marketing towards each location is also a great way to keep your stores distinct. When creating marketing or advertising materials, feel free to modify the messaging and verbiage that you use to fit the local market, but make sure that your collateral still follows the guidelines in your corporate identity document. Consider what Anthropologie is doing. The clothing retailer has numerous stores nationwide, but it manages to make each branch unique while still adhering to their branding guidelines. Take for instance, their window display strategy. 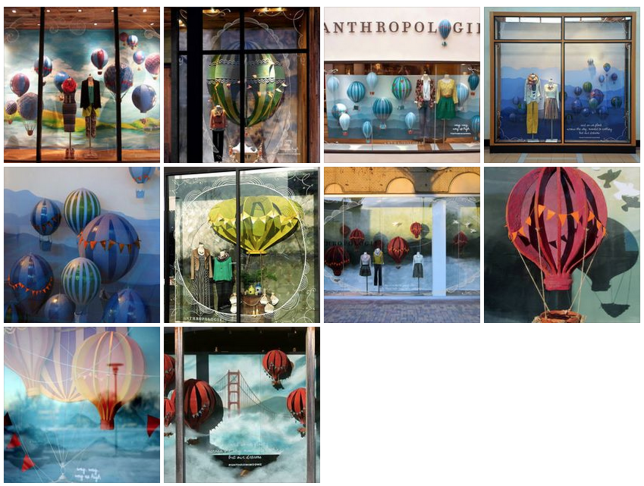 Anthroplogie’s corporate headquarters chooses specific themes for their displays, but leaves it up to each local store to come up with their own interpretations. This enables each Anthropologie store to incorporate some local art and flavor in their window displays, while still being in line with the general theme that the brand wants to convey. 5. Will you have to comply with different laws and regulations for your new location? Whether you’re setting up a new location down the street or in a different state altogether, be sure to check (and double-check) the laws you’ll have to comply with. Wise up on the taxes, permits, and regulations that you should follow to avoid running into fees, delays, and other mishaps. If you’re establishing your new branch in the same neighborhood or locality, then you may be able to leverage the knowledge (and connections) you’ve gained when you set up your existing location. Otherwise, be sure to do your research on the new location and hire a professional (accountant, attorney, realtor) who’s licensed in the area you want to expand to. To be safe and thorough, educate yourself on the above-mentioned issues, and consult with a pro to ensure you’ve covered all your bases. Francesca Nicasio is Vend's Retail Expert and Content Strategist. She writes about trends, tips, and other cool things that enable retailers to increase sales, serve customers better, and be more awesome overall.